Nose: Woody and spicy, revealing forceful, yet subtle tones right from the start. Swirl to release discreet floral tones. Palate: A full and bold body, revealing spicy notes of coriander and pepper. 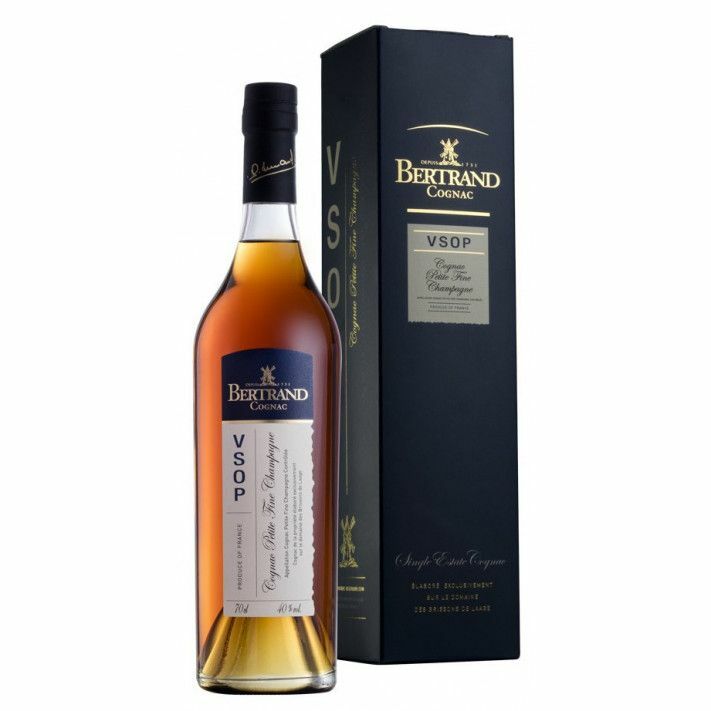 Bertrand VSOP Cognac is a pure Petite Champagne blend of eaux-de-vies from this small, artisanal cognac house. This is a truly versatile cognac that can be enjoyed in many ways. Perhaps neat, as an digestif, or over ice to release further flavours. It's also a good choice to mix with soda and ice to enjoy as a refreshing long drink on a hot summer's day. What an absolute delight! To be honest I didn’t get it with the nose but my goodness it hits you with its exquiste palate & aftertaste. This is a really superb cognac and worth every penny! Going to order my next bottle right now. Located in the town of Réaux sur Trèfle, in the Petite Champagne terroir, the house of Bertrand Cognac boasts centuries of tradition in the art of making Cognac. This family run, independent house produce a small, high quality range of Cognacs, from a VS through to an XO, and everything in between. Dedicated and passionate about their art, the family Bertrand farm their 82 hectares of land, guaranteeing that every single one of their Cognacs is produced solely from grapes grown within their own vineyards. Review and tasting notes of VSOP Grande Champagne, with a fine nose; in the mouth a diverse, broad slate of aromas, some nuts and dry fruits.